This affordable AC input line reactor has 220V, 380V, 400V, 460V, 480V and other voltage options, with 3 phase for VFD, and can safely be used in 50Hz or 60Hz, the power is 22 kW and rated current is 60A. Direct sale by factory and convenient for you. 5 Amps reactor for VFD, 3 Phase, and the power is 1.5 kW, has a wide voltage available for the selection like mainly 380V, 400V, 440V, 460V, 480V etc., economical price and high performance. This AC input line reactor is the ideal choice for 3 phase VFD. The voltage of the complete specifications reactor ranges from 220V, 380V, 400V, 460V to 480V, with good stability. The voltage of the input line reactor can be customized according to customer requirements. This is a 2.2 kW reactor for 3 phase VFD, and its rated current is 7A. The voltage specification of the AC input line reactor ranges from 220V to 480V, and the rated current is 90A, with 37 kW power, 3 phase for VFD, the frequency is 50Hz/60 Hz. Affordable and factory direct sales. 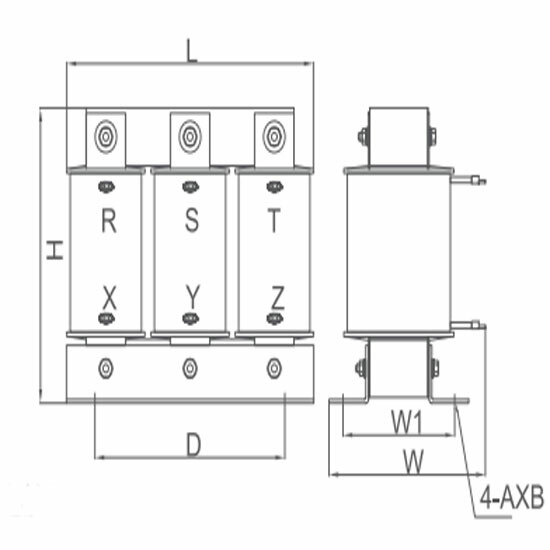 The voltage is 220V-480V and rated current is 60A. With 22 kW power, 3 phase for VFD. Low price, long life and high performance. Widely used in various power supply places with frequency 50Hz/60 Hz. High quality and safety AC input line reactor. 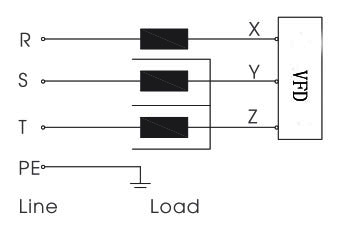 Smoothing the spikes contained in the power supply voltage and smoothing the voltage defects generated during commutation of the bridge rectifier circuit.